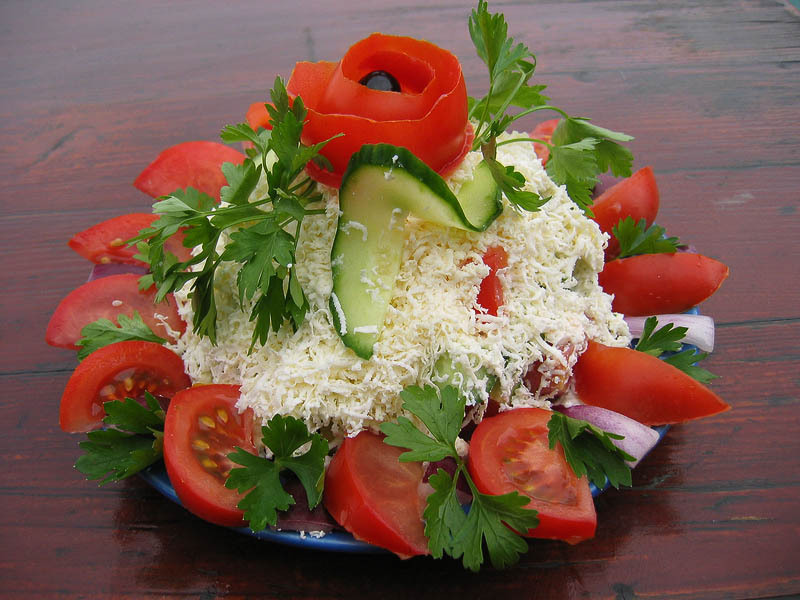 Beautiful arranged fresh salad with vegetables and feta. Fresh salad with tomatoes, cucumbers, onion, sprigs of parsley and grated white feta. Tasty and dietetic food.